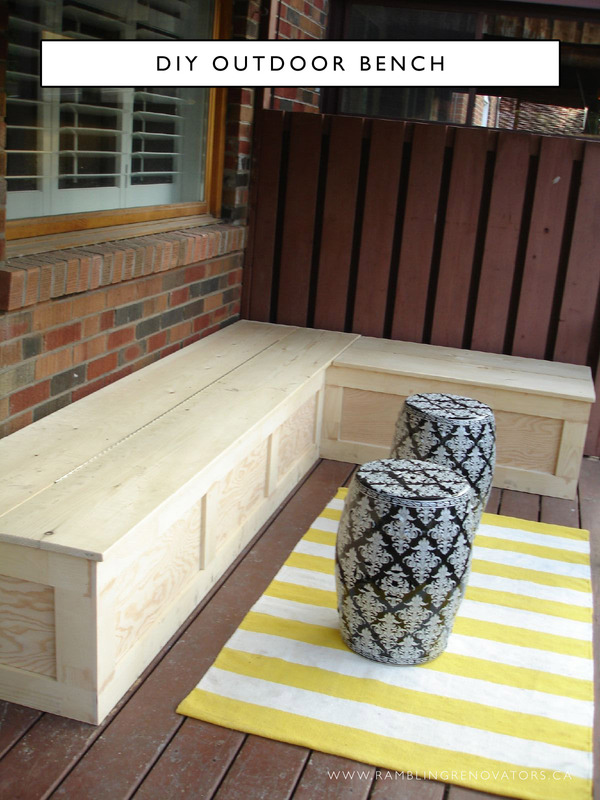 Despite the snow that is on the ground, it is spring and I'm itching to get started on some home DIYs. We headed over to The Home Depot this weekend to check out options for doing shiplap at the cottage. 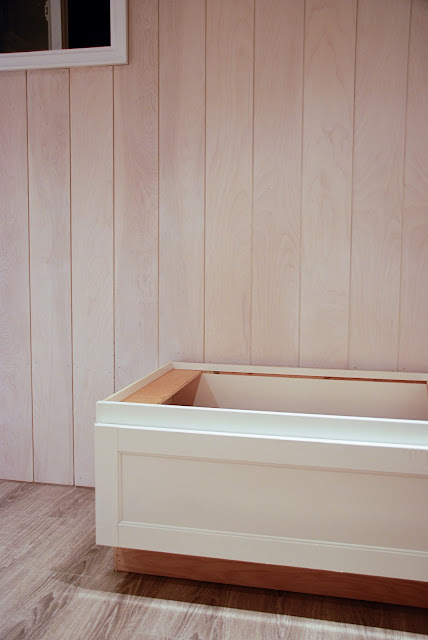 I think we've settled on this Knotty Pine Barn Board if we can find a solution on (a) how to work around the existing baseboards, and (b) what to do in wet areas around the sink. 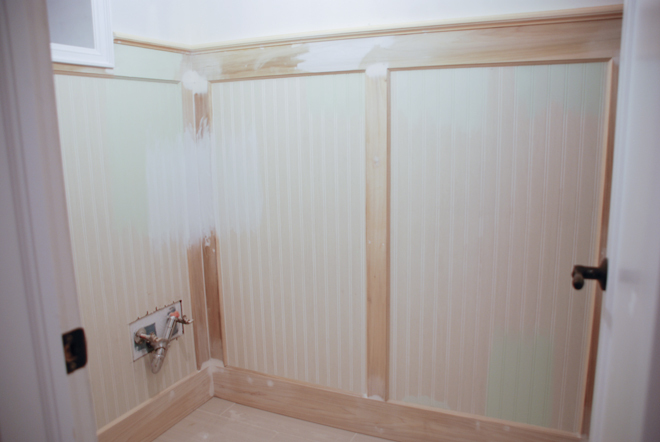 It's all those small finishing details that make a difference between a project that looks good and one that looks great! The Home Depot Canada has their Spring Black Friday/Cyber Monday sales coming up this week and lucky readers, you get early access to the sale! Check it out HERE. Are you anxious to get working on some spring projects? The Home Depot Canada wants to help you get started! 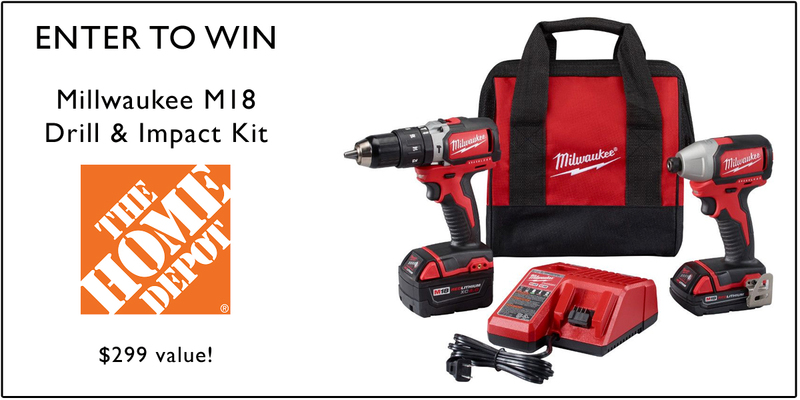 Enter below for a chance to win a Milwaukee M18 Drill and Impact Kit (a $299 value). I think this is a fantastic tool for any of you planning to build a deck this summer. And don't forget to check out The Home Depot this Friday and Monday for additional spring savings! Disclosure: This post and giveaway generously sponsored by The Home Depot Canada. Thank you for supporting the brands we love and use in our own home!